We are offering Automatic Mustard Oil Filling Machine to our client. 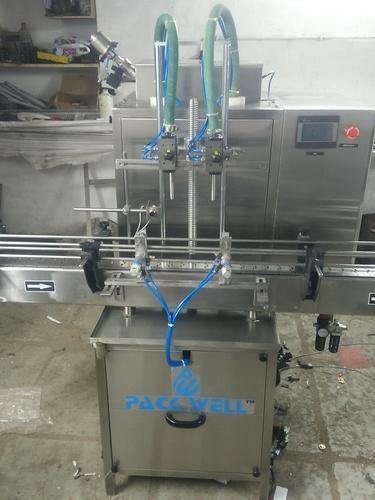 Incorporated in the year 2012, Packwell India has wide business recognition for manufacturing and exporting Bottle Washing Machine, Liquid Filling Machine and much more. Moreover, our products get enormous recognition from our customers owing to their functionality, authenticity and hassle-free functioning. All our products are developed under a quality tested environment to accomplish set standards. We take satisfaction in offering high-quality products, convenient delivery at very affordable costs. With the stringent focus on forming and providing products that straighten with distinct customer specifications across varied industrial sectors, today, the group has achieved enormous growth and accumulated goodwill of customers. We possess a sprawling infrastructure, classified in various departmental units for the continuous functioning of our business. Our production system is furnished with ultra-modern machinery & equipment for developing highly robust Filling Machine & Sealing Machine. With a barn constructed in an orderly manner, we put our products in a flat manner and defend them from any harm. Our teams of experts record, analyze and satisfy the specifications of our customers and put their significant attempts to acknowledge the same. Furthermore, we have the extensive network of distribution to approach customers in a stipulated time frame.